Gianni Catalfamo is the Founder of cc:catalfamo and one of the most popular bloggers in Italy and globally. 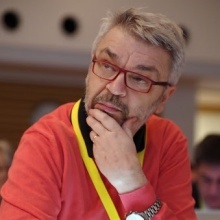 He has acted as Chairman of Pleon, Italy, and was European Director, Digital and Social Media for Ketchum. where he was the co-leader of their European Technology Practice. Catalfamo was active as International Account Director for some of Ketchum Europe's largest technology clients, such as IBM, Lenovo or Dell. His client teams benefit from his role as executive coach and communications strategy advisor. Prior to joining Pleon, Catalfamo founded, in 1986, the Italian operation of Lotus Development Corp., setting up the first Lotus office in Milan. During his tenure with Lotus, the Milan office grew from two employees and USD 700,000 in sales to 35 employees and over USD 10 million in sales. He also gained valuable field experience at Olivetti, where he spent two years in sales and marketing in the finance sector, and at IBM, where he started his career as a Systems Engineer. Catalfamo graduated in 1981 in Nuclear Engineering from Milan’s Polytechnic, after a humanistic background in classical letters. He has served as board member in several technology associations such as Assintel and FED. Some of his written works have been selected as essential reading for the Internet for Business Communication course at the SDA Bocconi Business School, where he also occasionally speaks on the impact of technology on communication. He has been writing for many years about a digital life on his personal blog Son of Geek Talk; he is also the author of two essays "The Digital Self Manifesto" and "For Friends, not for Brands!" which describe the Digital Transformation methodology he successfully applied to large international organizations in technology, pharma consumer goods and politics.